A.J. 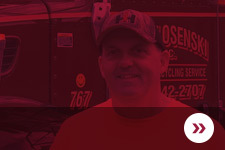 Blosenski, Inc. provides weekly experienced curbside collection of trash and recycling materials at an affordable price. Our fleet offers dependability and quality with outstanding customer support. Each residential customer is supplied with a 96 gallon Toter cart. This is a durable trash receptacle with wheels, attached lid, and lifetime warranty for use during the length of our services. 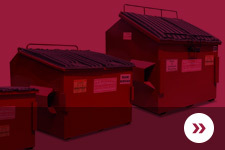 In addition, our Weekly Curbside Collection of Residential Recycle is a complimentary service that we highly encourage. 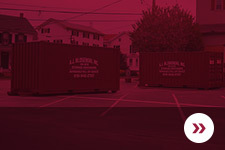 We collect an unlimited amount and provide 20-gallon recycling bins. Paper and cardboard mixed together and single-stream commingle is accepted. 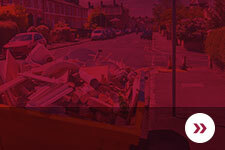 Please refer to our recycle information for more details. Finally, we also provide our exclusive ‘On Call Sticker System’ for those customers that do not accumulate large amounts of weekly waste. Stickers will be sent upon request; one sticker is placed on each trash bag, inform our office before your service day to have them collected. 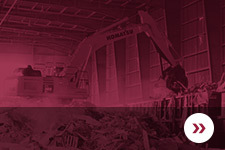 Recycling is available with this service.